We collaborated with a long time friend of ours! She's a super girl boss who inspires all women to keep it cool, while living the healthiest one can be. Upon request, Mimi sent us her own black bomber jacket that needed a fresh custom look. Her style screams edgy chic mixed in with timeless silhouettes and feminine lace! With this in mind, we decided what better way to represent Mimi's cool girl vibe with a black on black ensemble. The materials we used were, dual toned sequin and rope for trim. 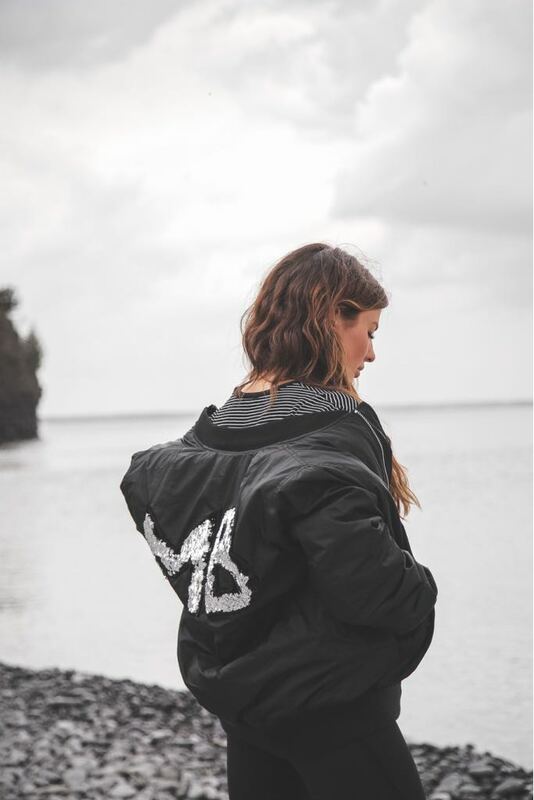 Carefully cut out and sewn together by hand, the plain black bomber transformed into the cool girl's holy grail of a jacket. You can take a look at her Instagram here!